With the Waterscapes Filter Kit, you can enjoy the beauty of a natural water garden and falls in your waterscape with the FilterFalls and Skimmer Combo Kit. Beyond creating the visual and aural qualities of a waterfall, FilterFalls unites provide biological water filtration and aeration. the filtration properties of FilterFalls' Bio-Tech mats and media help establish a balanced ecosystem for plants and fish to thrive in. 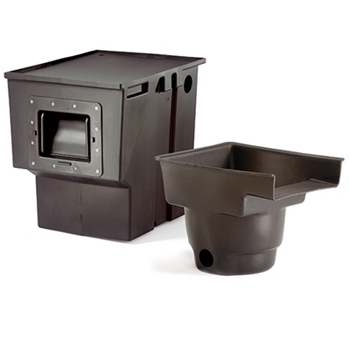 FilterFalls units are designed to be easily camouflaged with natural materials and easily accessed for routine maintenance. 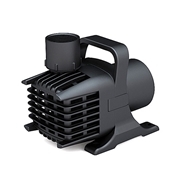 In addition to housing and hiding the pump, the advanced filtration provided by an Waterscapes Pond Skimmer is essential for maintaining a beautiful, healthy water garden. 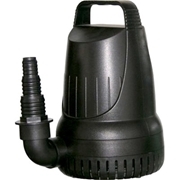 Waterscapes Pond Skimmers provide mechanical filtration for outstanding water clarity. FILT23 includes the Waterscapes BF1000 Filterfalls and the PS4000 Pond Skimmer. 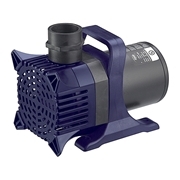 For use with ponds up to 1200 gallons and pump flows up to 2500 GPH. Maximum Pond Surface Area: 300 Sq. Ft.